Microsoft is now committed to "real" product development of this interesting tool. "first public preview of Blazor, a new experimental .NET web framework using C#/Razor and HTML that runs in the browser with WebAssembly. Blazor enables full stack web development with the stability, consistency, and productivity of .NET." 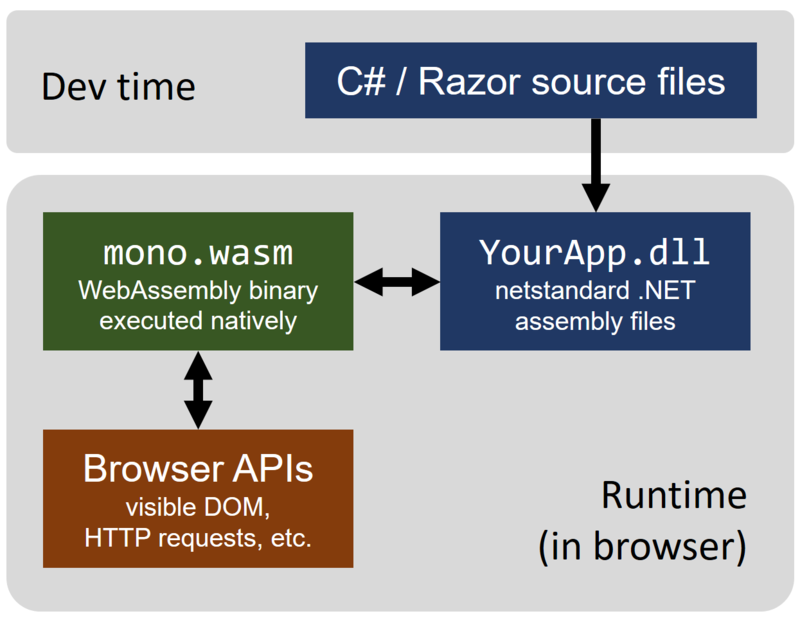 Some other languages could also run with WebAssembly in modern web browsers.